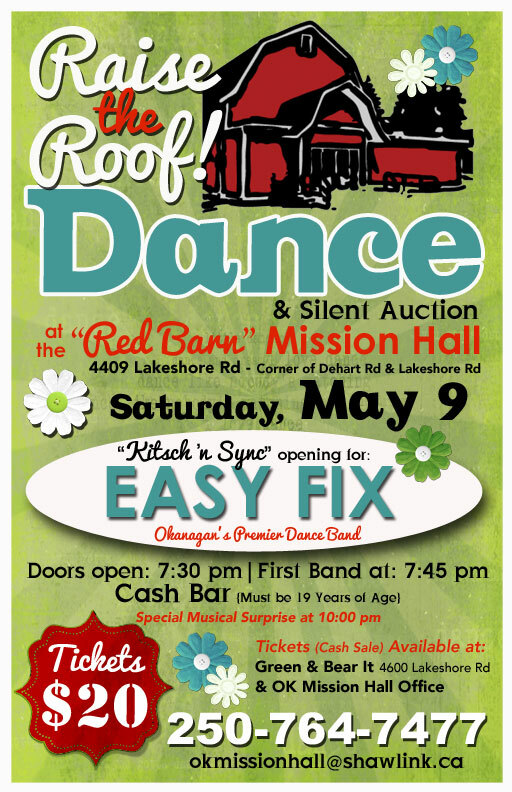 Our "Raise the Roof" dances (coordinated by the Tennis Committee and many volunteers) have become major fundraisers for Okanagan Mission Tennis and the charity organization we are a part of. Please consider donating an item to our Silent Auction. The funds raised from this dance will go to renovating the kitchen in the Scout Hall which has a big impact on all tennis functions.